The German government acknowledged Wednesday that it will miss a 2020 target for reducing carbon dioxide emissions, but vowed to catch up "as quickly as possible". Rather than cutting emissions of the greenhouse gas by 40 percent compared with 1990 levels, Europe's largest economy will manage reductions of just 32 percent, said the annual climate report for 2017 signed off by Chancellor Angela Merkel's cabinet. 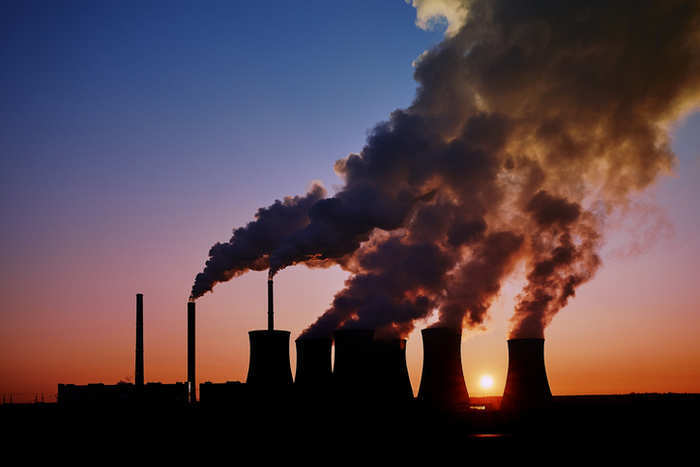 The shortfall of eight percentage points translates into around 100 million tonnes of carbon dioxide (CO2) pumped into the air annually. German politicians had already acknowledged they would not meet the 2020 target in coalition negotiations ahead of Merkel's swearing-in for her fourth term. "We must urgently get back on track and reach our 40-percent goal as quickly as possible," Environment Minister Svenja Schulze said in a statement. "We know the instruments that can get us to the target—renewable energy or electric cars, for example." The environment ministry blamed three main factors for the slower progress: overestimates of how much CO2 would be saved under existing plans, faster-than-expected economic growth and a faster-growing population than forecast. In fact, "current trends in economic performance and traffic figures are cause for concern that the gap might end up even larger than the 8.0 points predicted," the ministry said. Germany has a 2050 climate goal to reduce CO2 emissions by between 80 and 95 percent compared with 1990, and is a signatory to the 2015 Paris agreement that aims to limit global warming to 1.5 degrees Celsius. But the government pulls in sometimes contradictory directions, turning to dirty brown coal to offset Merkel's 2011 decision to shut down all nuclear plants by 2022 and backing the car industry's fixation on the internal combustion engine. Permafrost: a climate time bomb?